NEW YORK -- Before Tuesday's game, Giants manager Bruce Bochy was asked if he would start using Mark Melancon in non-save situations since the Giants don't often take a lead into the ninth. He said the time wasn't right to change Melancon's role. As it turned out, Bochy won't have Melancon in any form for at least 10 days. 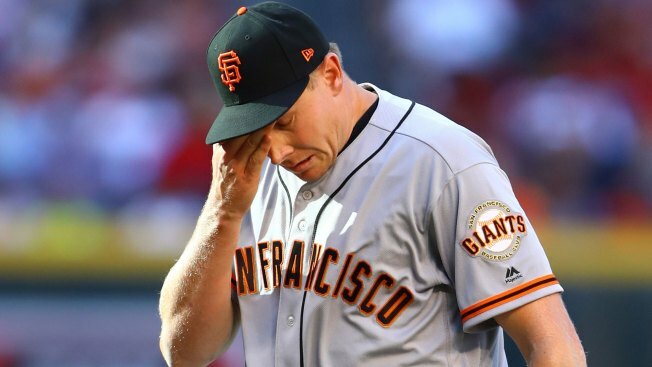 The Giants placed Melancon on the DL just before Tuesday's game with a mild right pronator strain. The pronator is a muscle located just below the elbow. There was no immediate timetable for Melancon's return. This is Melancon's first trip to the disabled list. Melancon had not pitched since May 3 in Los Angeles, when he picked up his sixth save. He has made 11 appearances in his first season with the Giants, posting a 2.53 ERA and 1.31 WHIP. With Melancon out, Derek Law seems the likely choice to be elevated to closer. He pitched the eighth inning Monday night and has generally been Melancon's setup man. Because the move was made so late in the evening, the Giants did not have time to add a fresh body. They are taking on the Mets with 24 men on the roster. Shortstop Brandon Crawford is expected to return Wednesday.